We’ve all been there. You make a resolution to quit eating junk and clean up your diet. But slowly, excuses (and brownies, and pizza) start to creep in. 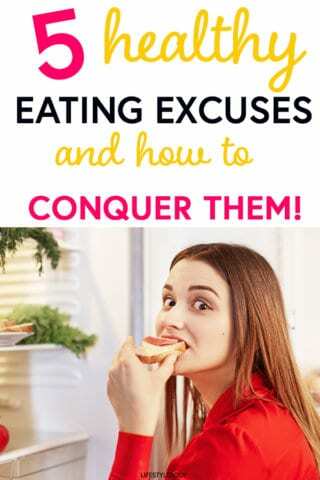 Have you ever been guilty of these 5 excuses? Then learn how to fight back so you can maintain your healthy lifestyle and reach your goals. Even an hour long kickboxing class only burns about 600 calorie. And a Starbucks blueberry muffin? That’ll set you back 350 calories. Over half of what you burned off. So while it may not cause you to gain weight, extra treats are going to seriously slow down your progress. Next time, just remember even the toughest workouts aren’t miracle workers. If you consistently add extra goodies, progress will be slow. Just as often, skipping a workout is also used as an excuse to ditch your healthy eating plans. Sometimes you feel if you’re not going to be able to check off the whole day as “healthy”, you might as well go for it and have the personal pizza for lunch. What you eat is so much more important than your workout for your overall weight. Remind yourself that what you eat today can still either move you closer to your goals (or further away). Workplace temptations may be one of the hardest to overcome. After all, it’s not every day that there’s birthday cake. Plus, everyone is there, mingling and enjoying the treats. It’d be rude to abstain! Bottom line: it’s not rude to avoid eating the cake. Avoiding the celebration? Probably not okay. So if you struggle with willpower, there are a few things you can do to make it easier. First, make sure you are eating healthy, filling meals and snacks. It’s harder to resist temptation if you’re hungry. Another trick is to chew gum. While this isn’t a great long-term fix for willpower, chewing a piece of gum is a great way to avoid a short-term temptation. Lastly, if you really must eat some cake (or cookies, or whatever), try having only one or two bites: new research shows that all the pleasure we get from a favorite food is from the first bite. So grab a small portion size, have a bite or two, and walk away from the rest. If you’ve been dieting for a long time, successfully or not, everyone reaches a point where they’re sick of the food. It feels like if you have to eat another salad with grilled chicken, you might scream! If you’ve hit this point, it’s helpful to remember the “why.” Think about the long-term health benefits, the dress you want to fit into, or your upcoming beach vacation. Whatever it is that motivates you. Next, it’s time to get some new recipes. There are so many tasty, healthy recipes online now – do a quick search and find something new to inspire you. For example, subbing the salad with a chicken quinoa veggie bowl instead. In the meantime, try to at least moderate what you end up eating. Just because the thought of a salad makes you want to gag doesn’t mean you need to go for the bacon cheeseburger. Try half a turkey sandwich (skip the mayo and the ciabatta bread) with a fruit cup instead. The last excuse on this list is also one of the most difficult to overcome. It’s the excuse that beats us before we’ve even started. With jobs, chores, side projects, kids, parents, pets, home reno projects, and more on our plates, cooking healthy meals may seem impossible to add on. And it’s true, eating healthy isn’t the easiest or the fastest thing to do. It requires real commitment and energy to make it happen. But remember, it’s one of the most important things you can do for yourself and your family. A healthy diet sets you up for success by helping you feel better, increases energy, boosts your immune system, and more. The extra time upfront can save you in the long run. Sunday meal prep: You see those Instagrams of color coded tupperware for a reason. Weekly meal prep helps you stay on track. Rotisserie chicken: Pre-cooked rotisserie chicken from the grocery is fast, easy, and healthy. Plus it can be used a bunch of different ways. Meal plans: Even if you don’t like to prep, having weekly meal plans can reduce the time spent figuring out what to make and what to buy. Healthy back-up plans: Life is often unexpected. If your day isn’t going as planned, don’t let your healthy eating goals fall by the wayside. Healthy(ish) back-up plans, whether that means the salad bar at Whole Foods or the chili and side salad combo at Wendy’s, is critical for staying on track. Even armed with all these strategies, sometimes your willpower just fades. Or you decide those amazing iced brownies are totally worth it. That’s okay. You can’t eat perfectly 100% of the time, so you can’t beat yourself up about it! Healthy eating is important, but so is having a healthy relationship with food. But when temptation calls, at least now you’ll have some simple strategies to stay on track so you can reach all your fitness and weight loss goals for 2017. 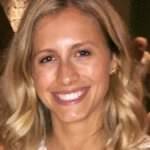 Kara Vogel is a freelance writer and blogger for hire, specializing in health and wellness. She offers articles, blog posts, ghostwriting, and editing. With a strong belief in balance, her ideal day starts with yoga and ends with ice cream. Check her out at Kara Vogel and Say Hip Hooray.